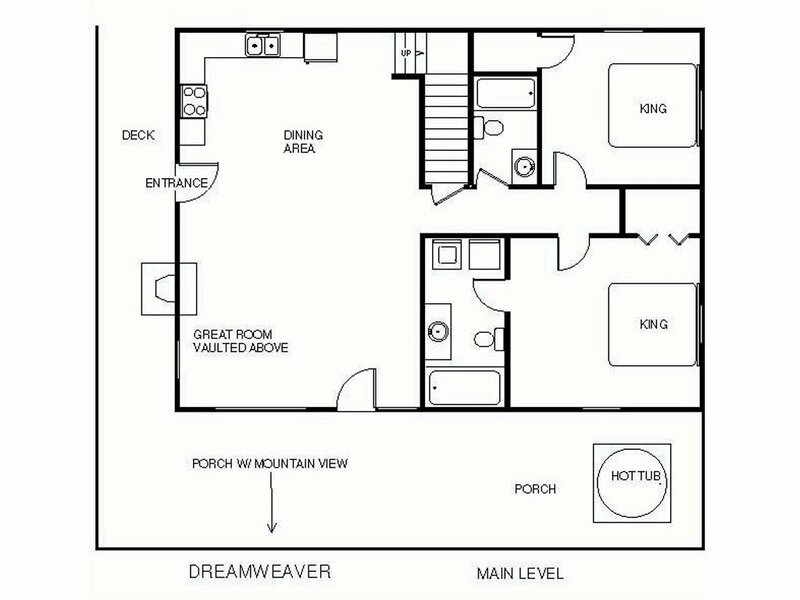 Whether you’re taking a ski trip with friends or a family vacation with the kids, Dreamweaver is the ideal cabin for you. 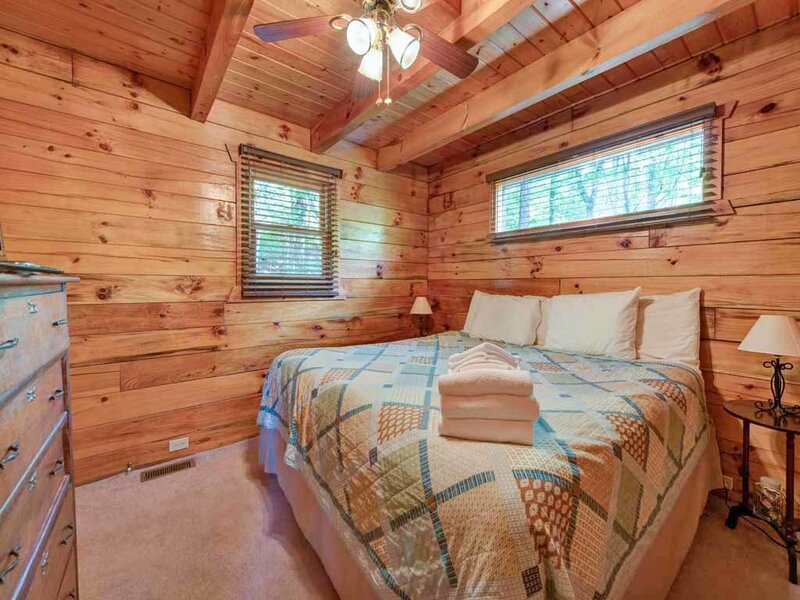 With 2 king-size beds and a twin, it sleeps 5 people in comfort and style. 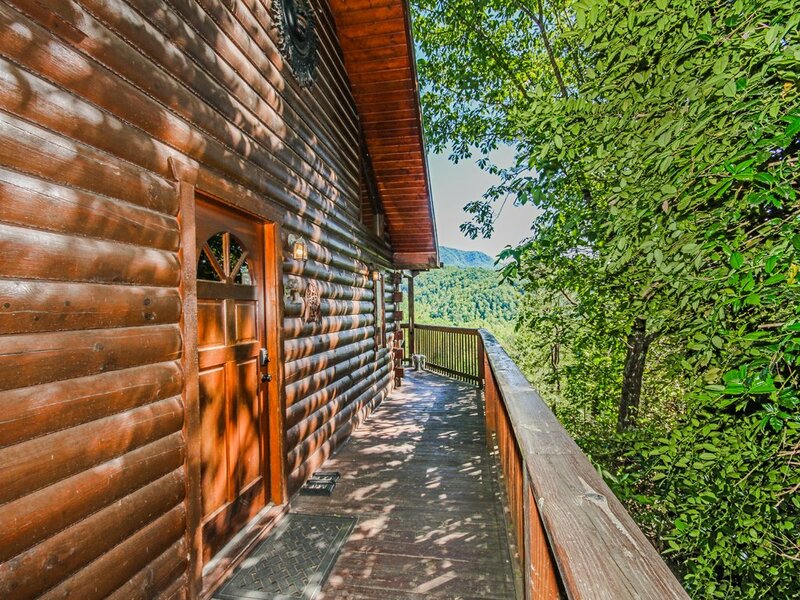 And because it’s located less than 15 minutes from downtown Gatlinburg, Dreamweaver offers plenty of conveniences too. 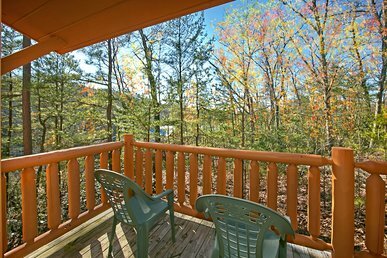 You’ll know you chose a fabulous base for your vacation as soon as you drive up to Dreamweaver. 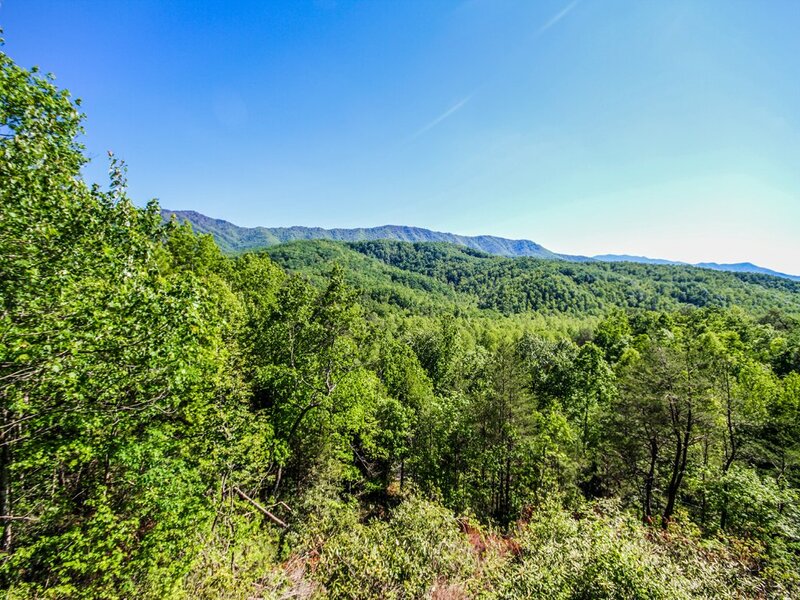 The views of the Great Smoky Mountains are beyond stunning. You’ll want to take plenty of photos—and thanks to Dreamweaver’s internet access, you’ll be able to post them onto Instagram or Facebook right away! 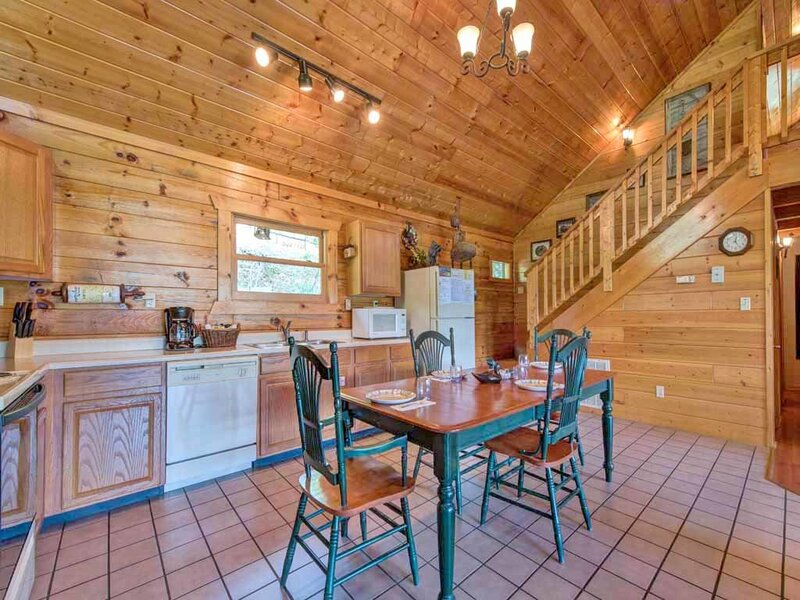 The inside of the cabin is just as pleasing as its exterior. 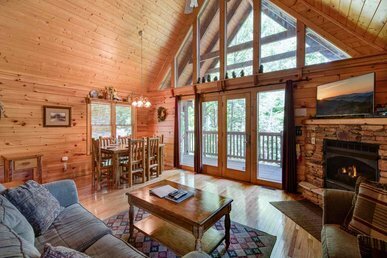 With its lofty cathedral ceilings, burnished wood floors, and charming log walls, the main level’s great room is both airy and cozy. 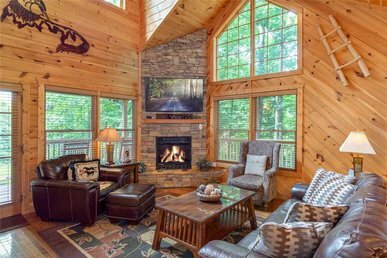 The leather sofas invite you to sink back and relax, and there’s room for everyone to gather together to watch a movie on the TV with Blu-ray, to play a board game on the coffee table, or to nestle round the stone-surround fireplace on a chilly winter evening, hot chocolate in hand. The room’s just as delightful on a warm summer day: Turn on the ceiling fan, stretch out on the couch with a stack of magazines and an iced tea, and relax… or indulge in a revitalizing nap. 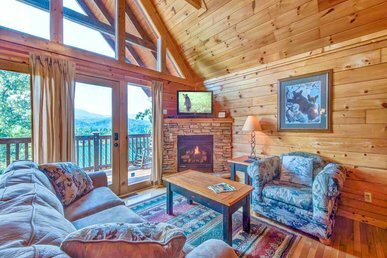 The living room opens onto the dining room, where you can sit comfortably at the table while admiring the mountain views. 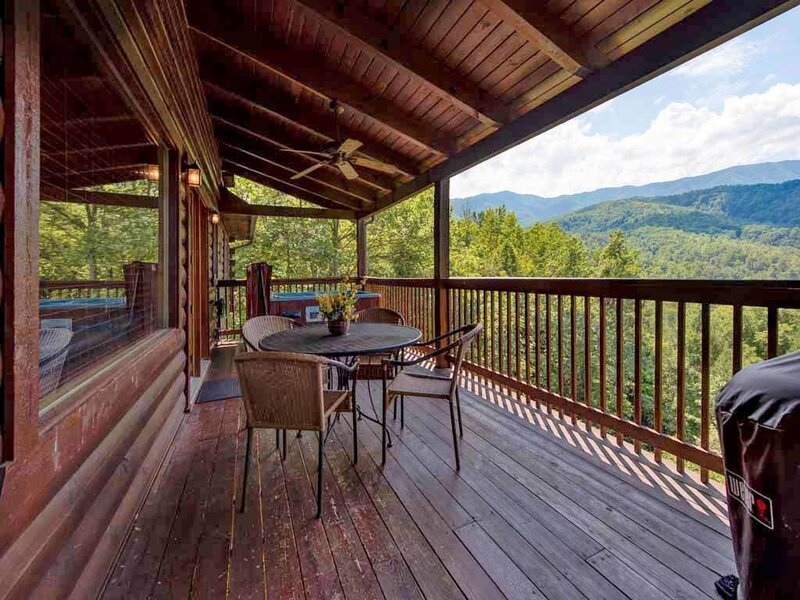 If you’d prefer to dine alfresco, there’s another dining table on the porch, as well as a charcoal grill. 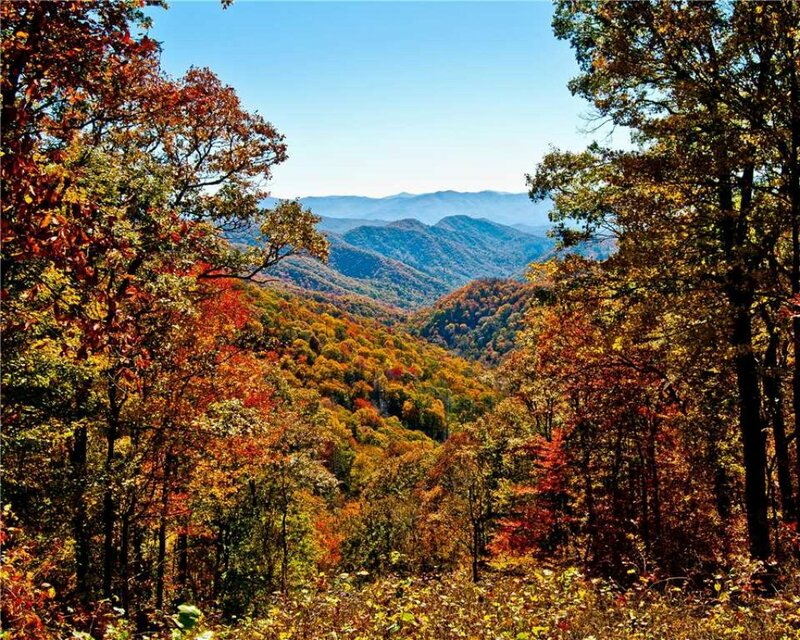 There’s nothing like the crisp, fresh mountain breeze to stimulate the appetite, and all but the fussiest eaters will gobble up corn on the cob and fresh-caught trout cooked on a grill. Of course, you probably won’t want to grill all your meals. Fortunately, Dreamweaver has a fully equipped kitchen. 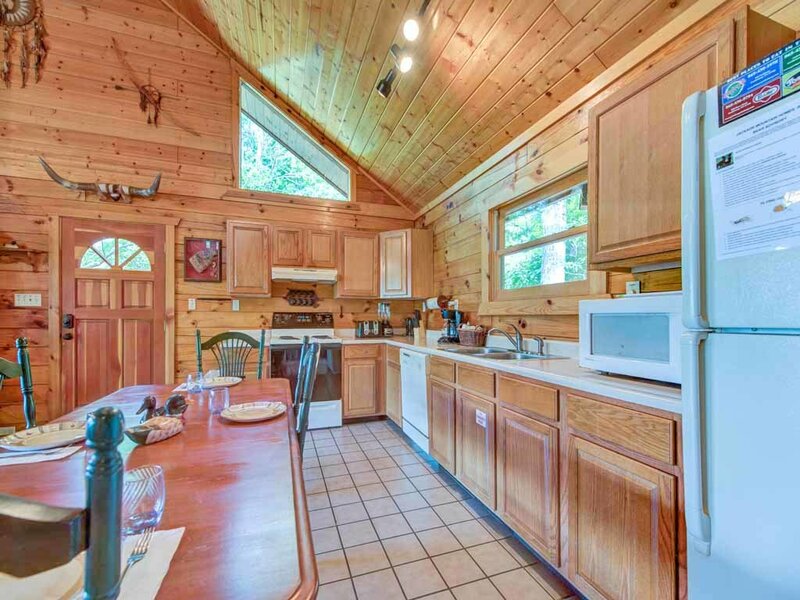 Full-size refrigerator/freezer, stove/oven, microwave, coffeemaker, toaster, blender… you name it, the kitchen has it. That includes cookware, tableware, and a dishwasher. There’s also plenty of storage, so you can stock up on an entire week’s worth of groceries at the beginning of your stay. 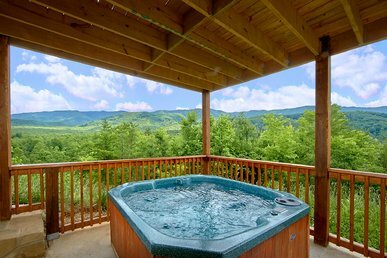 After all, why waste precious vacation time driving back and forth to the shops every day when you can spend it luxuriating in the hot tub out on the deck, watching peregrines and eagles soar across the sky as the breeze rustles through the sun-dappled trees? 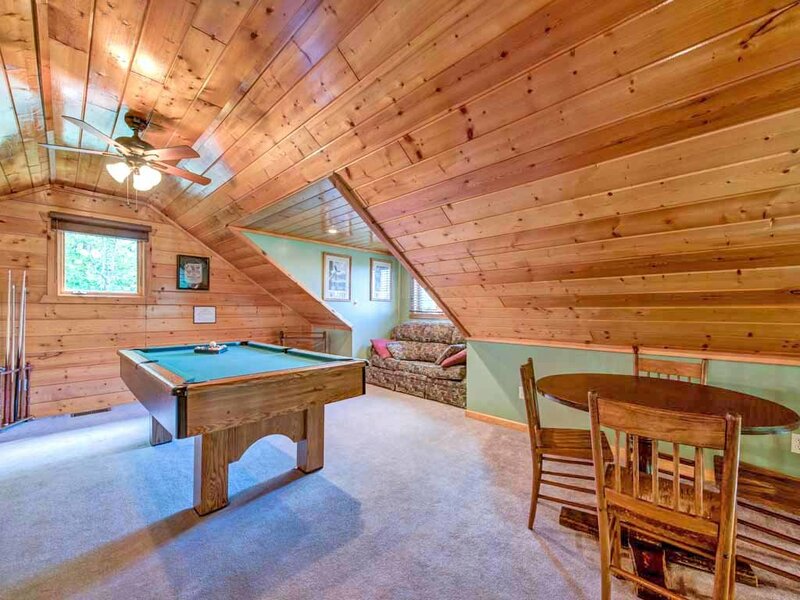 If you prefer a more competitive leisure activity, you’ll be happy to know that Dreamweaver has a pool table on its upper floor. 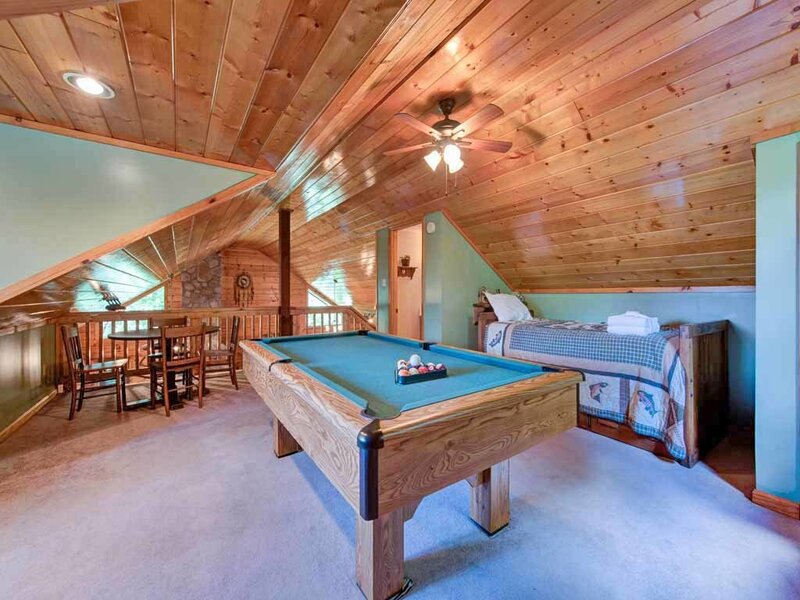 The loft level is also home to a twin bed nestled beneath the sloping roof—the perfect hideaway for a tween or teen. 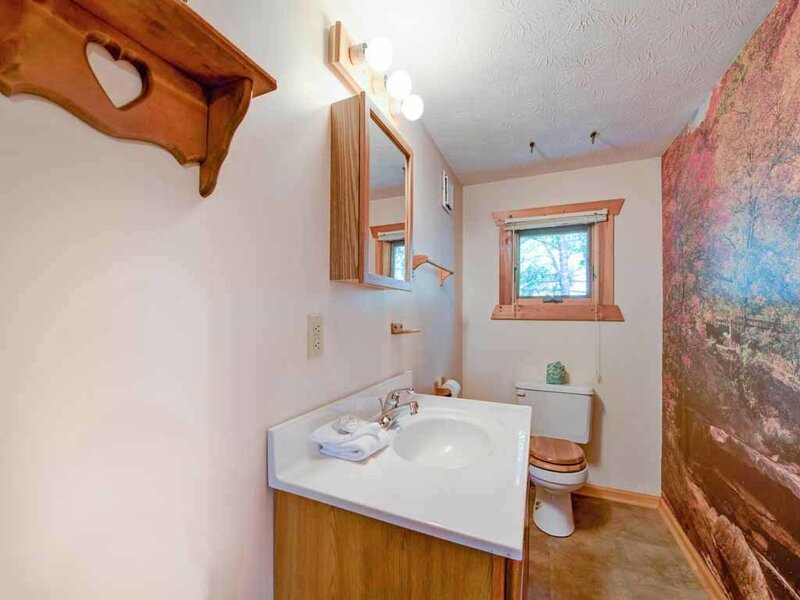 For additional convenience, there’s even a powder room on the floor. 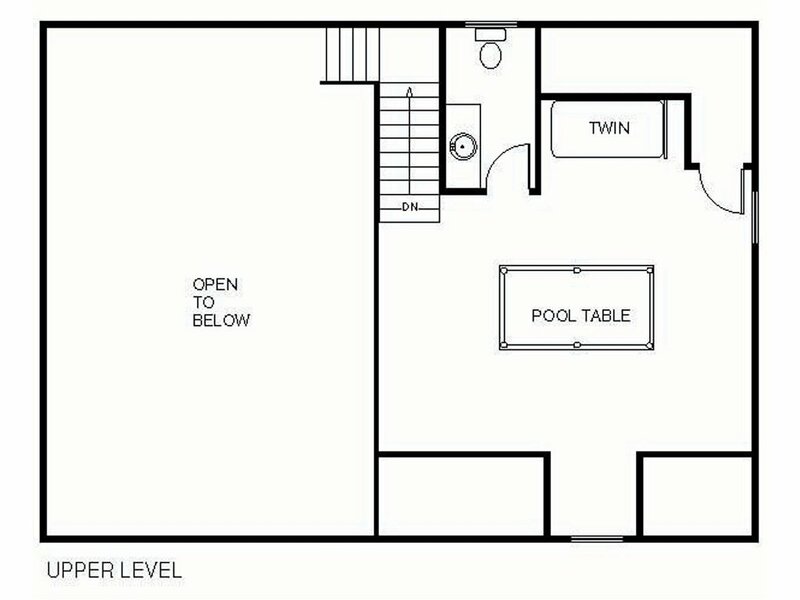 The two full bathrooms are on the main floor, one for each of the two bedrooms. 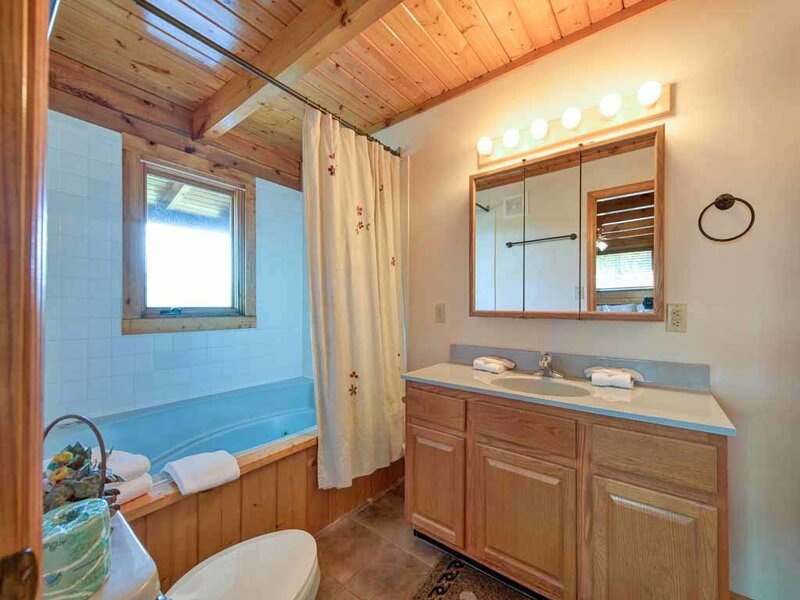 One of the bathrooms includes a jetted tub—just the thing for soothing tired muscles after a day of hiking, skiing, or golfing. 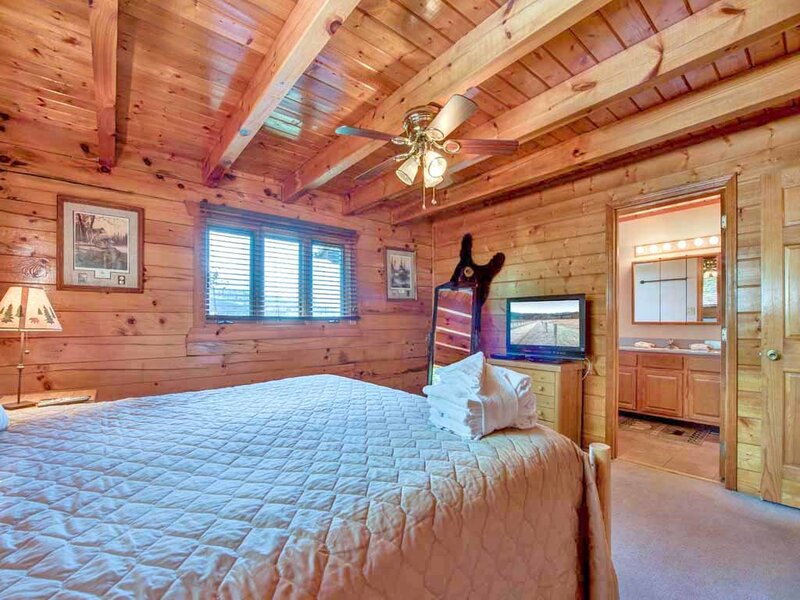 Both bedrooms have king-size beds, so you can sprawl out in unadulterated comfort as you watch a movie on the 32” flat-panel TV before turning off the lights and drifting off to sleep as the owls hoot in the distance. We haven’t even discussed Dreamweaver’s fabulous location. 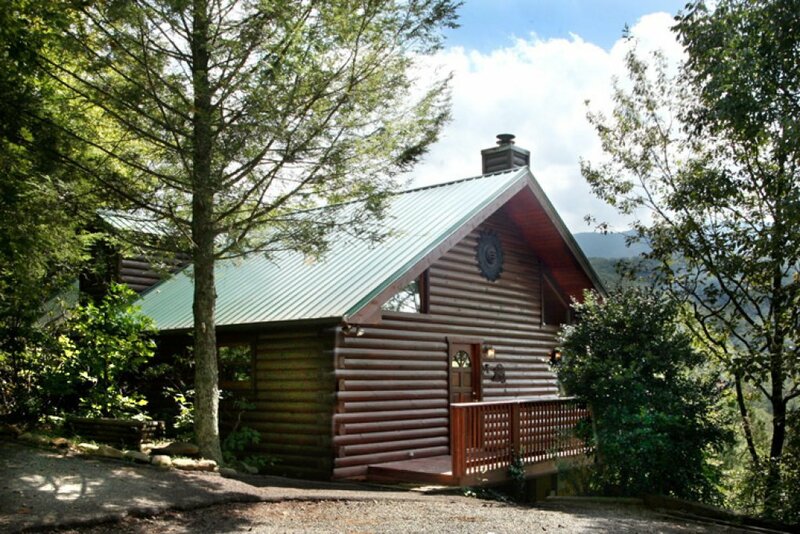 The cabin is just minutes from the Greenbrier entrance to the Great Smoky Mountains National Park, the most popular national park in the country. 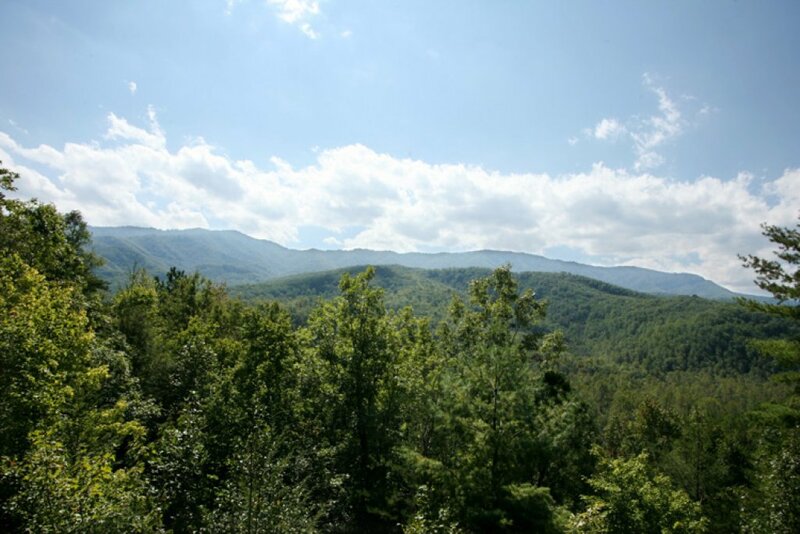 There you can explore waterfalls and historic cabins, hike and ride horses, and admire wildlife and wildflowers alike. 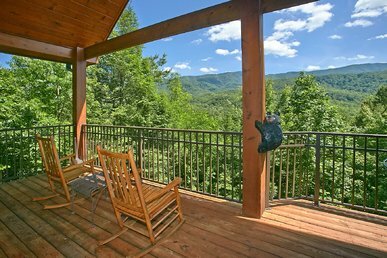 Also nearby is the Gatlinburg Arts and Crafts Loop, an 8-mile trail of more than 100 galleries, studios, and craft shops. 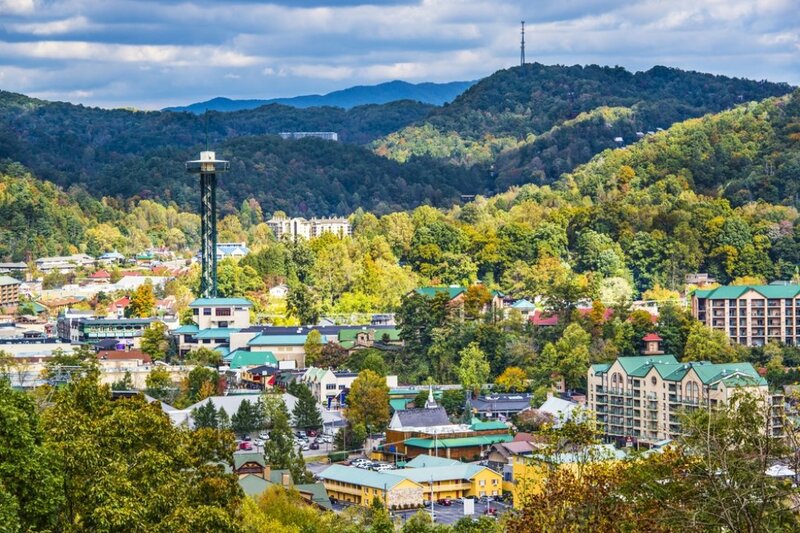 And let’s not forget the restaurants and amusements of downtown Gatlinburg, golf courses, a zip-line tour, and just a little farther afield, Dollywood. 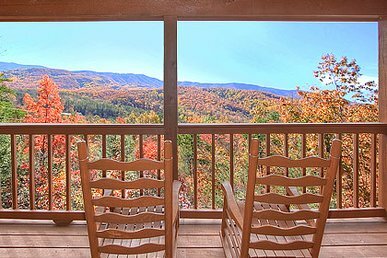 A stay at Dreamweaver truly offers something for everyone. 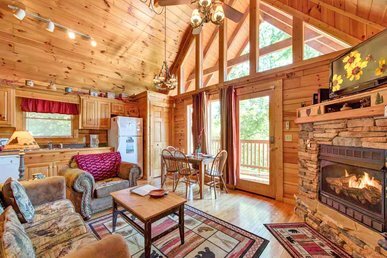 And if you’re traveling with other families or couples, accommodations here can be packaged with stays at other nearby properties. So don’t miss out—make your reservation today, then start making plans! 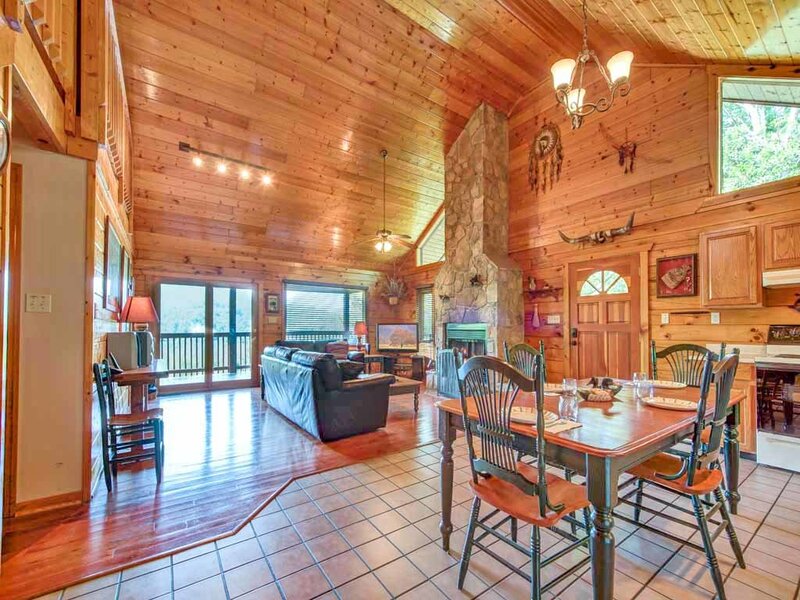 This cabin was awsome!! My freind and I went for some relaxation. And got just that. 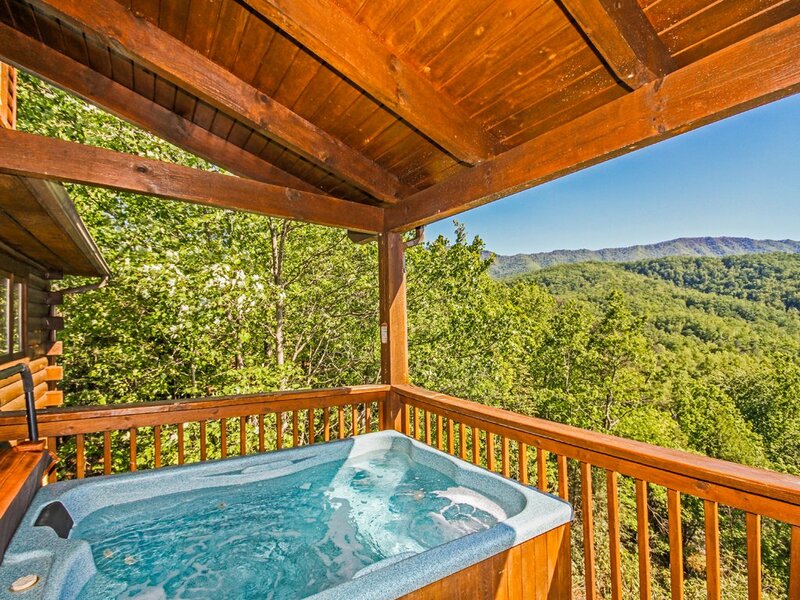 The veiw was spectacular and even more from sitting in the hot tub!! The beds were very comfortable.. And thank you for setting up a christmas tree. 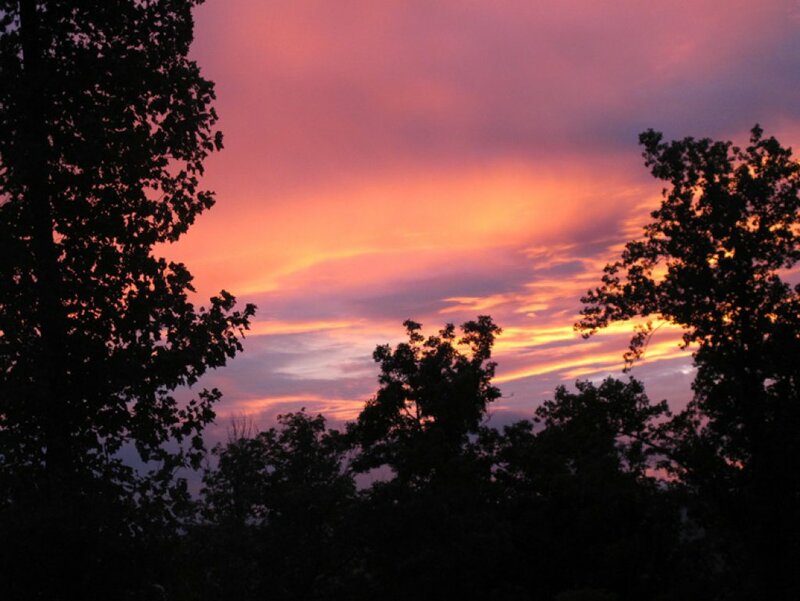 It was absolutely pure beauty. I give this place 5 stars only because it wouldn't go any higher. Really deserves more. Our entire stay was perfect. I plan on being back. 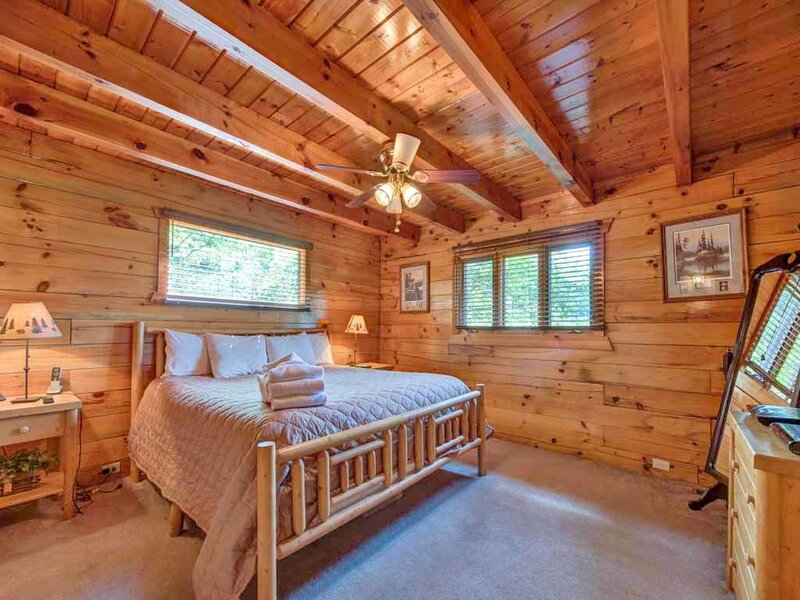 One master suite, other bedroom is very small and not attached to the bathroom. Jetted tub did not turn on, there are mold in the bathrooms, but beds were made and it was mostly clean when we arrived. There were a lot of wasps and bugs. Exhaust fans in bathroom donâ€™t work. 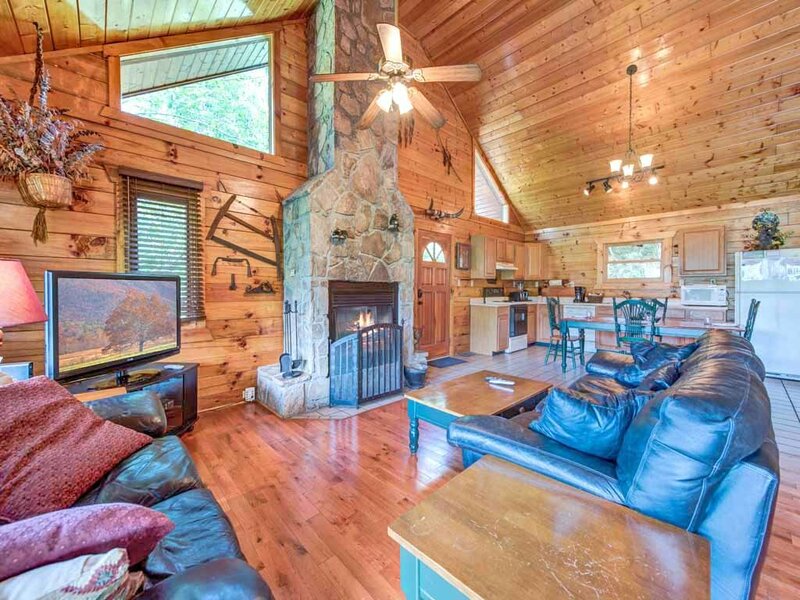 The cabin just overall needs to be updated. Little things were broken and just dated. 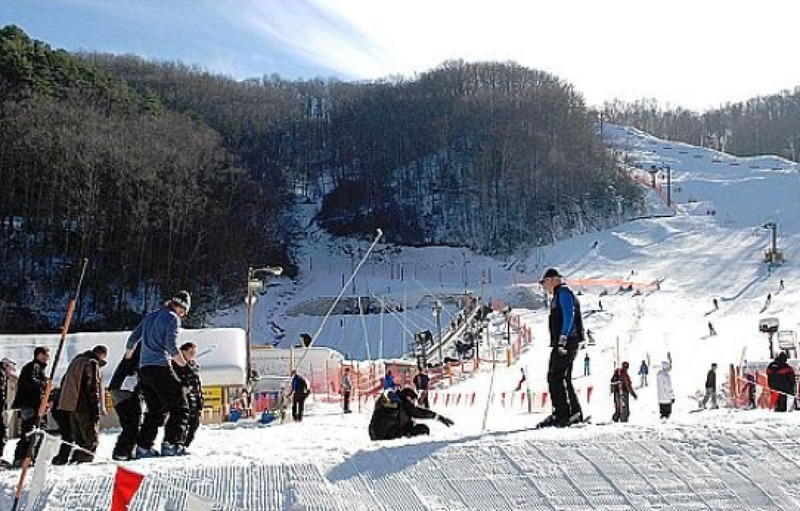 Gatlinburg was great with plenty to do. 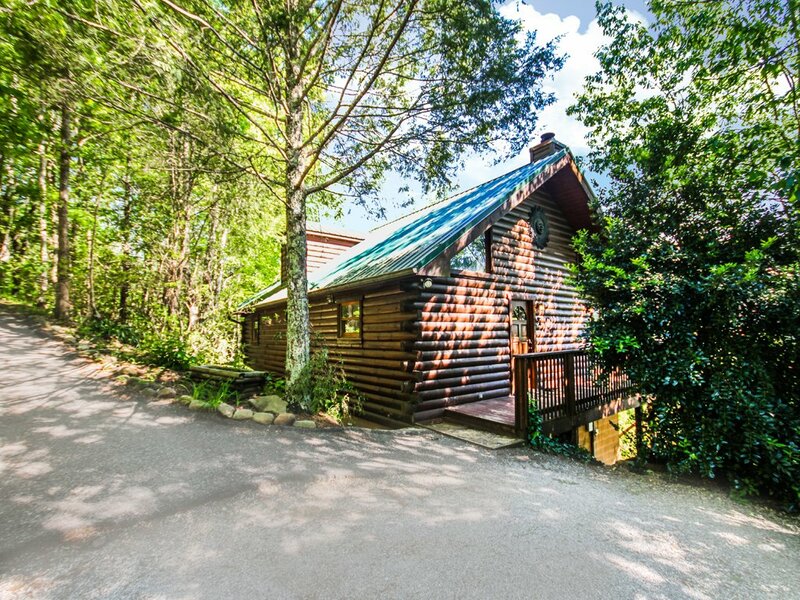 The dreamweaver cabin however is in need of some updates and repairs. The hot tub is super old and only 2 of the jets worked. The floaty in it is corroded and moldy. We chose not to use it. All the outside outlets do not work and the deck was covered in webs and nests at every corner. 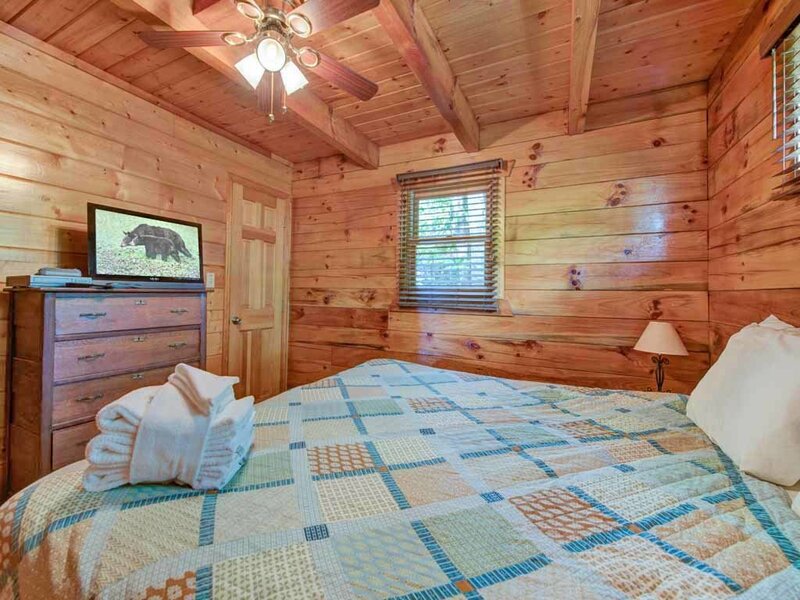 The inside decor looks like its all from the 80s and hasnt been touched since being put up. Everything had 6 inches of dust on it and looked gross. The furniture is so old and used it had no support and smelled. We threw sheets over it to sit on it. The beds however were very comfortable and clean. We all slept very well. The bedrooms themselves were very clean. All the kitchen utensils and appliances we needed were provided and all worked. All in all it wasnt terrible but really needs a whole house update for the times. It feels late 80s eaely 90s when you walk in. Even the tubs and showers could use a more modern new feel. A window to the left of the fireplace above is cracked and none of the windows had screens in them so you coukdnt open them for fresh air. The rules for the thermostat settings is annoying. We brought fans which was good because we roasted in the cabin. 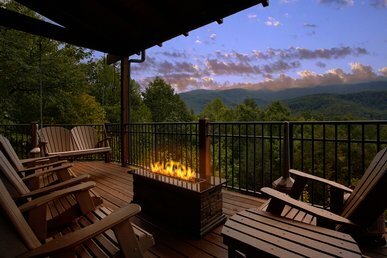 The view is amazing and beautiful and its a great size for a family.